It is Vital That You Keep Your Dog on A Leash! 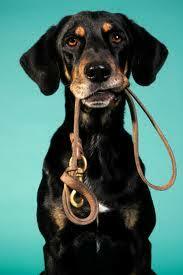 Over the years we’ve discussed this topic many times yet dog owners continually let their dogs off their leash. No matter where you live, it’s important that this general rule be adhered to at all times. Some owners will say, “well my dog knows his way back home.” Still this is no excuse. Your dog can get hit by a car, can do damage to other properties in the area, be bitten by another dog, can even scare other dogs in the neighborhood. There are even more reasons. Your dog can be picked up by a stranger. If you live in a community and consistently, leave your dog off it’s leash, you will no doubt eventually receive letters directing you to keep your dog on a leash or face fines and in some cases legal action against you. Even though you have confidence in your dog when he’s off his leash, all of these reasons should convince you that dogs on leashes are the best and safest bet. It’s your duty to protect your best friend and yourself! Keep your dog on a leash at all times! Edgewater Gold Radio is playing the best variety of oldies as you read this. It’s our 60s and 70s weekend! Classic disco tonight at 7pm. All on Edgewater Gold Radio. Download the free Edgewater Gold Radio app or listen from our website: Edgewatergoldradio.com. This entry was posted on Saturday, November 24th, 2018 at 10:04 am	and is filed under Pet Supplies. You can follow any responses to this entry through the RSS 2.0 feed. Both comments and pings are currently closed.